The 2-in-1 computing is heating up with Microsoft leading the charge with its fifth generation Surface Pro bringing the flexibility of a tablet, possibility of a notebook, and the dynamism of touch computing. 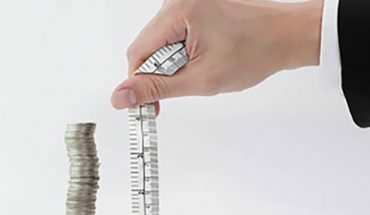 Microsoft isn’t the only one pushing this paradigm successfully. Apple’s new iPad Pro is more powerful than most notebooks yet retains a thin and light form factor plus arguably the best display with a 120 Hz framerate capable of rendering complex websites and video. 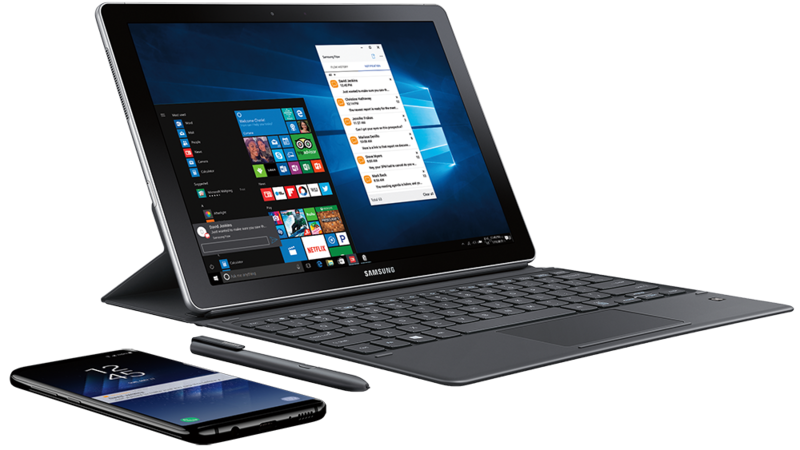 Samsung’s always had aspirations as a PC maker, although its notebooks never sold well in North America, it has persisted with various generations of tablet devices which bring form and function as well as integrate various Samsung exclusives. Few manufacturers can compete with Samsung in terms of tablets, specially those devised for the professional market. 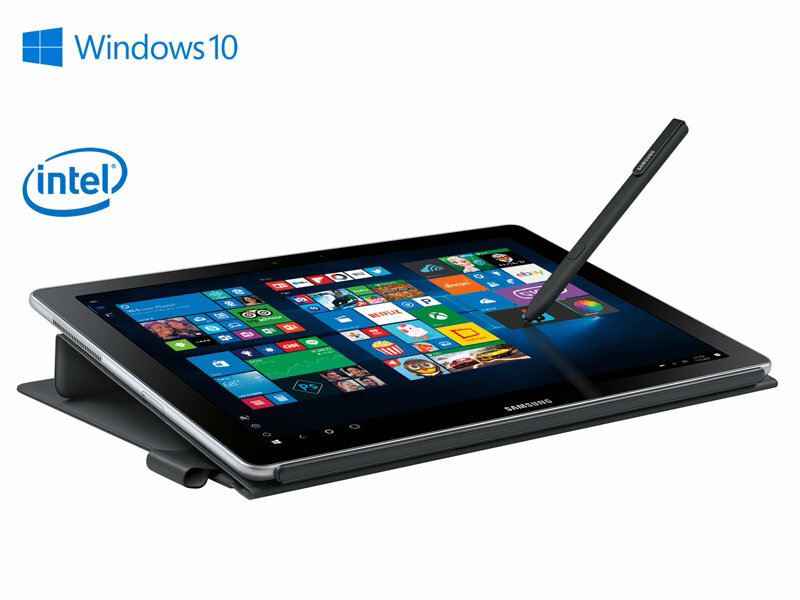 This is a slim and light premium tablet with the ability to take keyboard input as well as the Samsung SPen stylus.Featuring Windows 10, the Samsung Galaxy Book is equipped with 4GB RAM, a 128GB solid-state drive, two USB-C ports for connecting all your devices, and the latest 7th Gen Intel® Core i5 Processor. 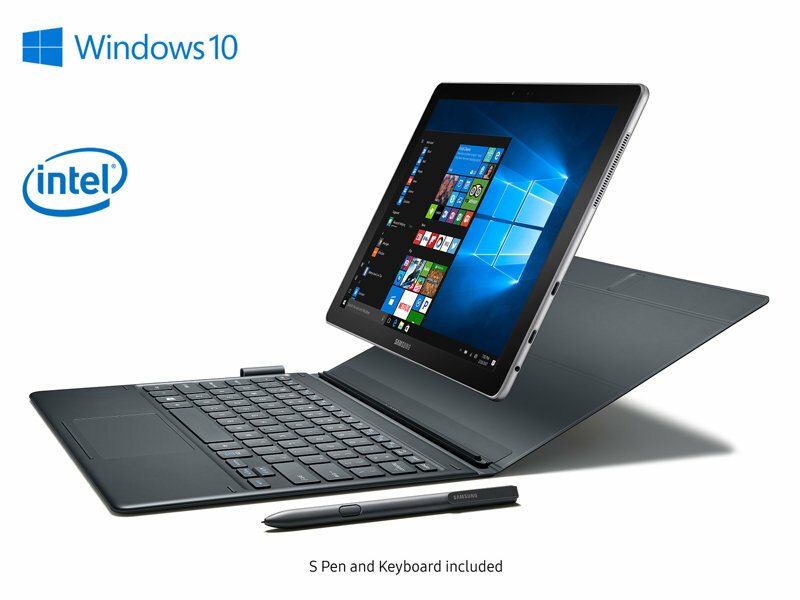 Built around a 12.0″ FHD+ (2160 x 1440) sAMOLED display that’s saturated and bright, the Galaxy Book is powered by a fanless 3.1 GHz, 7th Gen Intel® Core i5 Processor and 8 GB of RAM which runs Windows 10 and, by extension, thousands of classic Win32 applications, which makes it a shoo-in for businesses users. The Galaxy Book runs quiet and rarely gets uncomfortably warm. Storage is either 128GB or 256GB, which, believe it or not, is no longer deemed substantial now that Microsoft and Apple both offer 512 GB options (at hefty price points). The onboard 5,700 mAh battery is good for 11 hours, although in my tests it lingered around for 6-7 hours of real world use. You do get fast charging capability, thanks to USB type-C (which neither Microsoft offers right now). The ability for Samsung smartphone users to interact directly with their Galaxy Book is a key feature that differentiates this tablet from the competition. Samsung Flow is described as such. 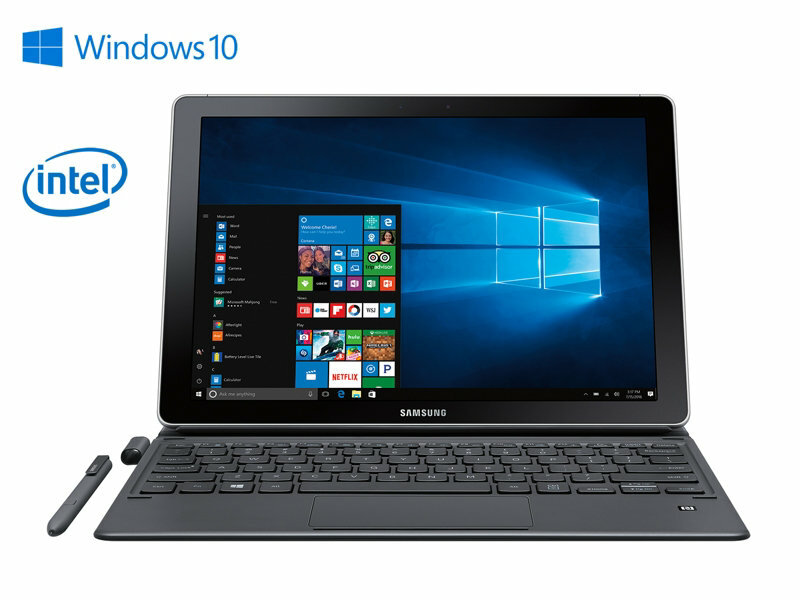 “Unlocking your Galaxy Book is as simple as tapping your unlocked Galaxy smartphone and scanning your fingerprint. You can also easily enable your mobile hotspot to keep your Galaxy Book connected, and check and reply directly to your phone’s notifications,” Samsung professes. I don’t have a Samsung smartphone, so I wasn’t able to use this feature but if it anything as seamless as what Apple offers with iOS and macOS (AirDrop files wirelessly, continue work between devices), it should be a huge advantage. Where Samsung beats both Apple and Microsoft in this premium 2-in-1 space is that it includes the necessary accessories out of the box. You get a folio keyboard, which doubles as a kickstand and a case and even has a trackpad for good measure. The SPen, which may not be as prolific as Surface Pen or Apple Pencil, is also included, which means you can get to work quickly without shelling out another $300 for accessories that are integral to the device’s experience. Does Samsung have enough mojo to disrupt the iPad Pro or the Surface Pro? Maybe not, specially since those two devices reflect the identity of the operating systems they represent. The Galaxy Book does offer a viable option for users who already know and love Samsung products or who want something different that blends the slim profile of the iPad with the sheer PC capabilities of the Surface. The Galaxy Pro is a more serious, pro-centric device that’s aimed at travelling professionals who don’t mind the compromise of the 2-in-1 form factor.